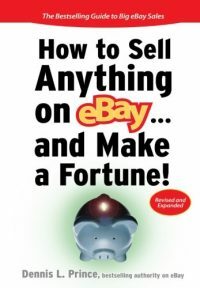 I have a soft spot in my heart for the eBay and consignment store operators who have made the consignment business model work with eBay. For many, running a eBay drop store was an uphill climb that was too steep to endure. Yet for those with the real chops, business savvy and who were the strongest, wisest and the best business oriented individuals... eBay combined with retail and direct consignment sales have fed the family and more through good times and bad. 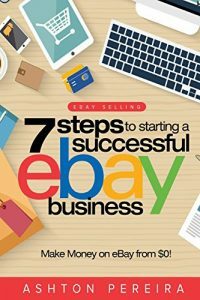 It's no secret that I have a history in eBay consignment and franchise drop store operations and sales. My opinion (post personal or business involvement in same) of franchising stores has become well known since I wrote eBay Drop Stores Why They Failed , the conclusions from that article are almost self evident at this point. It must be said: Running a true consignment store which utilizes eBay is different from the business plan of most eBay franchises pitches of the past. With an independent consignment store the merchant has a higher chance of success. Why? One other factor that is very important to remember is that running a business is not usually a cookie cutter proposition. This fact is more true in consignment than almost any other retail opportunity. A consignment store owner must have the ability to make quick business judgments about what to consign, how to price, when to send items to the internet, and how long to keep stock before clearing it out at a lower price or sending it back to the owner unsold. Some people who seek out franchise opportunities seem to be looking for someone else to make these decisions for them. Consignment is not one of those kinds of businesses. There are not just 5 kinds of hamburgers and three sizes of fries to sell in consignment. While the business model may be more challenging than most in terms of variety of knowlege, it also can be ultimately much more interesting, a consignment store owner never knows what will walk through the door tomorrow or sell next week. Real entrepreneurs can make consignment a profitable proposition, Michael Weinstein is one of those real entrepreneurs. Michael and his wife Linda are real business people and they have made consignment work for them for over 10 years in the same location. They own Charmingly Linda's Quality Consignments a successful retail establishment near Philadephia, Pa. I have been acquainted with them both for some time and have actually referred anyone who contacts me in the PA area to them for eBay or consignment advice or services ever since I met them. Michael and Linda know the business! So much so that new opportunities have presented themselves for Michael and Linda. They have developed a consulting and development business and help other local business owners to understand the business of selling online. What started out as a part time project (the consulting) has become more of a full time proposition. Michael and Linda have reached the point where they are ready to take the next step in life and in business. Therefore they must make the difficult decision to sell the business that provided for them and taught them how to be successful for the last ten years. If you are looking for an opportunity to own your own business in Pennsylvania and if you have the stuff it takes to buy and sell at a profit (with initial help and guidance from Michael and Linda), then the following opportunity might just be worth a long look! For Sale: Charmingly Linda's Quality Consignments. A retail & Ebay consignment shop. 10 years in business. Over 2400 registered consignors. High demographic consignor base. Located on Lancaster Ave in the Philadelphia burbs known as the main line. Continued growth even in this economy. Over 4000 positive ebay feedbacks. Turn key and profitable! If you have a eBay or Consignment Store that you would like featured in the Trading Assistant Journal, please see our contact page. What a terrific profile about Charmingly Linda’s consignment store! You nailed it! I’ve known Michael for a number of years. First through the eBay Trading Assistant consignment seller discussion board at http://forums.ebay.com/db1/forum/Trading-Assistant/106 and later as a member of the Consignment Pal Resale Shops Directory. Michael and Linda successfully combined a consignment brick and mortar store, eBay eCommerce, and their uncanny entrepreneurial know-how. They not only meet the resale needs of the local and national communities, but exceed the customer expectations both for both buyers and consignors (sellers). 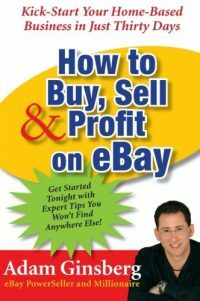 How sad I am to see Michael leave the consignment business…he was my mentor and guide via the eBay trading assistant discussion forum during my early days in the business. I have learned so much from him and he has become a good friend. My loss…as well as that of his consignors and buyers! I wish Michael and Linda well as they move on to the next adventure in their lives! Lucky is the person who buys that shop! They will be stepping into a great, successful set up!